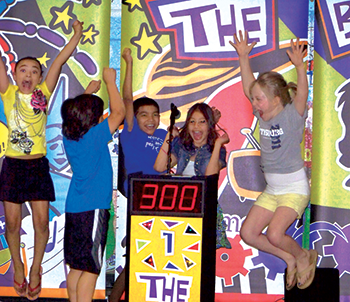 The Brain Showsm is the perfect vehicle to celebrate education and to communicate to children that learning can be cool and fun. The Brain Showsm makes for an engaging school assembly show because it presents an entertaining, yet educational platform to involve the students, as well as their teachers. 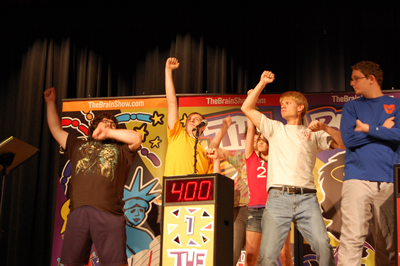 The Brain Showsm has the authentic look and feel of a real live TV game show complete with colorful podiums that feature computerized lights and sounds. The show can be adapted to meet the curriculum needs of your school. Educational questions, submitted by your teachers, can be incorporated into the game show to test your students on topics they have recently covered. 1-570-676-5702 or complete our Online Request Form. 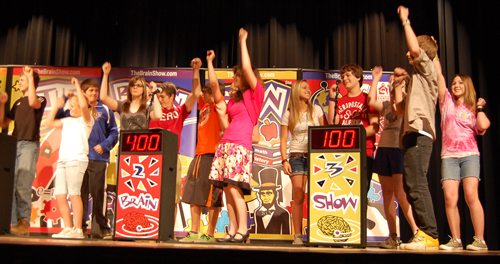 Educational Game Show in the Country!